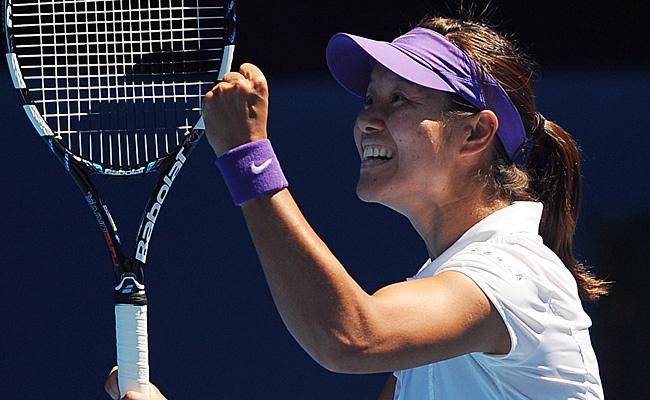 Li Na will play defending champ Victoria Azarenka in Saturday’s Australian Open final. Victoria Azarenka overcame a sore left ankle, some anxiety and a slew of frustrating forehand errors before fending off American teenager Sloane Stephens to reach the Australian Open final against Li Na. For the second time in two days, 19-year-old Stephens sat patiently on a courtside chair during a medical timeout by an experienced, older player late in the second set. On Thursday, the top-seeded Azarenka returned to finish off a 6-1, 6-4 win on her sixth match point. It had been a different outcome Wednesday, when Stephens rallied from a set and a break down to beat an injured Serena Williams in three sets. Azarenka said in an on-court interview that she "almost did the choke of the year” when she wasted five match points on serve at 5-3 in the second, mostly with unforced errors on her forehand. She went to the locker room for medical treatment after dropping that game, then returned to break the 29th-seeded Stephens’ serve to finish off the match. The 23-year-old Azarenka later said the treatment was for chest pain. The temperature hit 97 degrees during the second women’s semifinal, slightly hotter than it had been when Li Na beat No. 2-ranked Maria Sharapova 6-2, 6-2 to reach the Australian Open final for the second time in three years. The heat and the speed of the court surface suited Li’s game. Li’s coach, Carlos Rodriguez – who worked with retired seven-time major winner Justine Henin – pumped his fist over his heart after Li won the game. The composition of the women’s semifinals was somewhat unexpected. While there were surprises in the composition of the women’s last four, the makeup of the men’s semifinals was as expected.